Delta will be revenue based mileage earning starting January 1st, 2015. Miles will be earn base on elite qualifying dollars multiple by 5 as base level earning and up to 13 for Diamond level members who purchase with a Delta co-branded American Express credit card. We will be showing the 2015 base mileage earning for all Delta fares going forward to show how negative the changes are for a majority of Delta flyers. We recommend in 2014, while Delta and Alaska continue to be partners that you credit all Delta coded and operated flights to Alaska. 2014: 8,192 miles or 4.9 cents per mile. 2015: 1,661 miles or a difference of 6,531 miles. 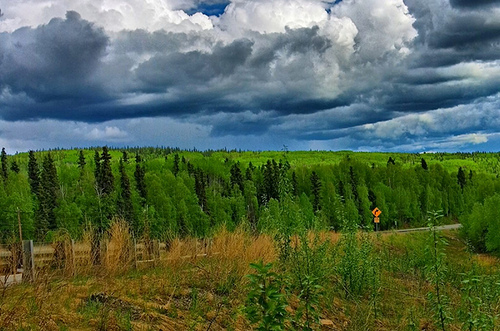 2 Responses to "Delta – $404: New York – Anchorage, Alaska. Roundtrip, including all Taxes"
Nice job as always and really appreciate the highlighting of the 2014 vs. 2015 points comparison. Q. If I do credit my Delta flights to Alaska Air, what will be the breakdown of the MQM, MQS, MQD and bonus points? 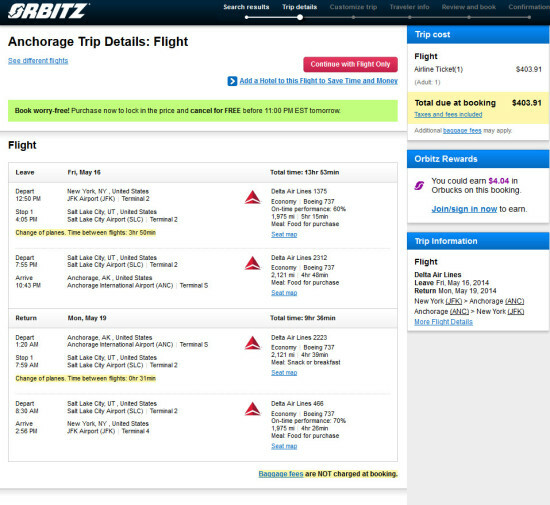 @Cool Breeze – unless noted otherwise, the fare will credit 100% to Alaska. In deals where it won’t credit to Alaska (e.g., flights involving codeshares, we will show the Alaska mileage you can expect to earn. If the flights are all codeshare, we do not have language that it will earn with Alaska). Bonus points are awarded based on your status — we never show that because there are too many factors. MQD = Alaska does not have MQD requirements, if it did, it would be the elite qualifying dollars above.